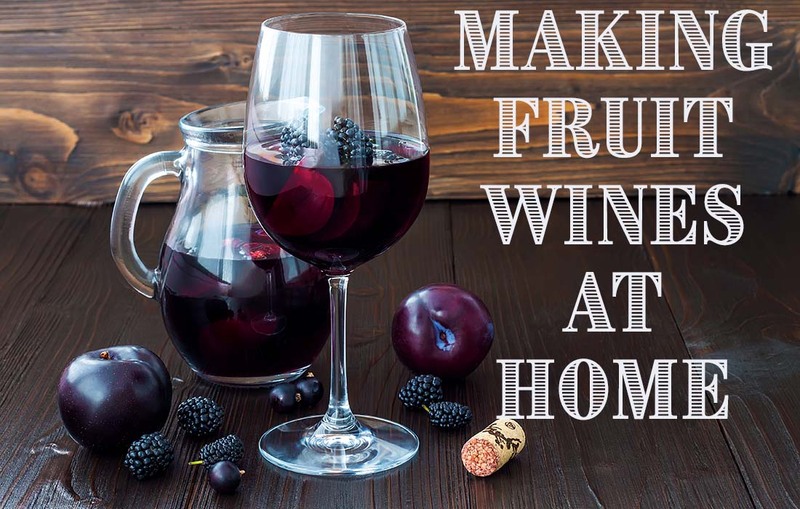 The basic recipe is simple and can be used to make almost any fruit wine. The Beverage People's fruit wine recipe below will show you how to make blackberry wine, and also functions as a raspberry wine recipe, plum wine recipe, and cherry wine recipe. The recipe(s) are designed to start the fermentation with 6 or more gallons of must, understanding that once the fruit solids have been removed the liquid volume will be reduced. A starting volume of 6.5 gallons should yield 6 gallons of finished wine, while a starting volume of 6 gallons should yield about 5.5 gallons of finished wine. The summers of Sonoma County are flush with the bounty of wonderful fruit. And as Byron Burch, the shop’s founder, was fond of saying, “If it’s got sugar or starch, we can make alcohol with it.” Besides the fun of discovering a use for extra fruit, these wines really add variety to your cellar. Grapes are naturally suited to winemaking. They make enough sugar and acid on their own. Most other fruits lack enough sugar and acid to make wine on their own. Most of the sugar and some of the acid must be added. Because of this, it's best to think of fruit wine as a recipe. The fruit will provide color, flavor, some acid and some sugar; and added water, corn sugar (dextrose) and acid will build up these ingredients to actually make wine. A good grape wine needs to start at a minimum of 20° Brix to generate about 11% alcohol and in addition will need at least 0.5 - 0.7% Titratable Acid for an acid balance in the finished wine. These amounts will taste good without overpowering the flavor or aroma with alcohol and tartness. So with those parameters, we can create our recipe to reproduce those conditions. Start with about 12 pounds of corn sugar for 6 gallons of finished wine. You need about 2 pounds of corn sugar for every gallon of Must to get to 20° Brix, plus the fruit will provide additional sugar and volume. Next you need between 15 and 20 pounds of fruit. The more fruit the better, but always have at least 15 pounds. Always use more when making wines from fruits that have lighter flavors and aromas. In my experience, darker colored fruits like blackberries, blueberries and cherries tend to make better wines. They tend to have stronger flavors which are more likely to be retained in the finished wines. Think of the flavors of the fruit itself. If there isn’t much flavor or complexity in the fruit to start with, there won’t be much left in the finished wine. Wines made from fruits such as apricots or melons usually have little to no flavor or aroma once they have finished fermenting. While the fruit will contribute some sugar to the must, it is usually not enough to make the Brix high enough for wine. A good tip to start with is to add the sugar in increments after you have mixed together the fruit, water, acid and nutrients. After each addition is stirred in well, use your hydrometer to take the Brix reading and then continue adding until the amount of sugar reaches about 20° Brix. Remove as much of the seeds or pits as possible. While seeds and pits are annoying to remove, it is worth it. 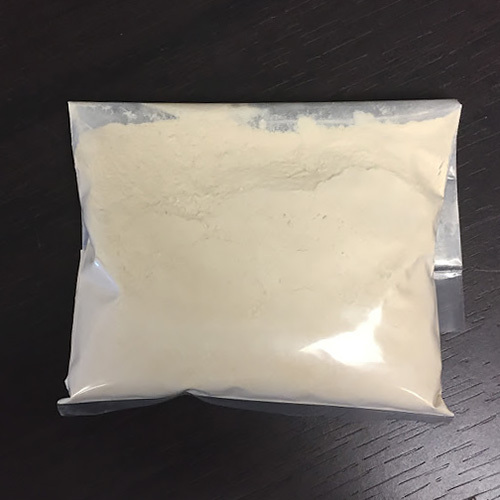 As alcohol in the wine increases it may extract compounds from the seeds or pits which may have a negative impact on the flavor or even be harmful. Tiny, soft fruits such as blackberries and blueberries can be gently crushed, just enough to break the skins. Fruits a little larger and firmer such as cherries and small plums can be halved and pitted. Larger fruits can be quartered or cut into golf ball-sized chunks. Since most fruits, including grapes, do not contain enough nutrients like nitrogen for the yeast to carry out the fermentation, yeast nutrients are always added. Using 1 to 2 teaspoons of Fermaid K acts like vitamins for the yeasts, keeping them healthy. Then the yeast can work to complete the fermentation and avoid production of undesirable flavors and aromas. 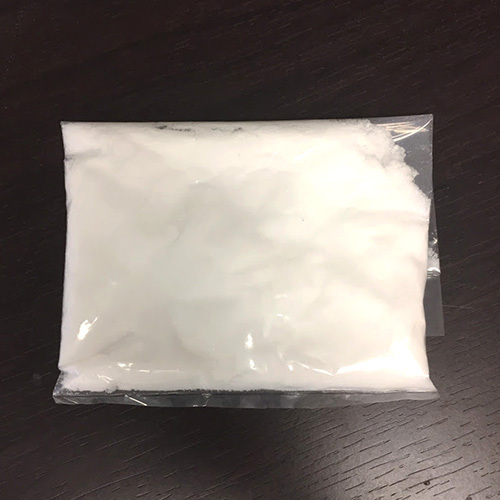 You can also add 1/2 oz. of the enzyme Pectinase to break down pectin in the fruit, allowing for easier extraction of juice and minimizing haze in the finished wine. Pectinase should be added before the fermentation begins as alcohol inhibits its activity. Perform an acid test to make sure you have the right amount of acid in your wine. A desirable range is about 0.5 - 0.7% TA. Add tartaric acid using the simple equation on our wine magnet or from the directions in your acid test kit. Add 5 to 10 grams of wine yeast that will accentuate the fruit flavors of the wine. We often recommend a white wine yeast that produces fruity esters such as Epernay II over a clean, relatively neutral champagne yeast. The added esters from the yeast tends to lend more complexity and flavor to the wine. Another great choice is Beaujalois 71-B as it accentuates fruit flavors. I used 71-B for a cherry wine I made last year and was quite happy with the ripe, fresh cherry flavor and aromas in the wine. Sulfite should be added to the must before fermentation begins to kill or inhibit wild yeast or bacteria and at multiple times post-fermentation to build up free SO2 to protect the wine from oxidation and spoilage. 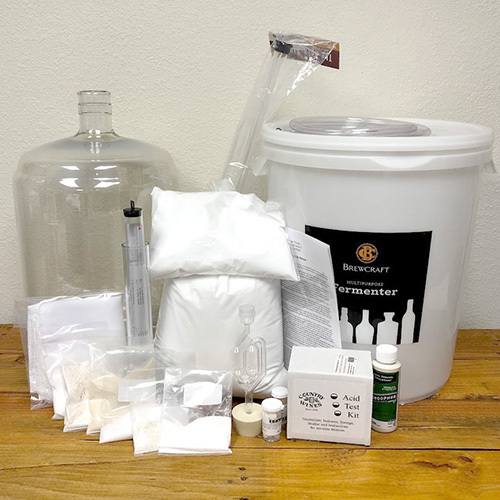 When it comes to the fermentation itself, the easiest way to ferment fruit wines is to begin with a fruit wine starter kit or obtain similar equipment from your own resources. You will start the fermentation in a large food grade bucket fermentor with about 8 to 10 gallons capacity. This will give you plenty of room for the fermentation and also be easier than trying to remove and clean fruit pulp from the inside of carboys. Place the fruit in a non-reactive nylon mesh bag and allow the fruit to ferment within it. Twice a day, remove the lid of the bucket and use a sanitized spoon to push down the rising fruit pulp cap. Continually punch the cap down during fermentation to keep the fruit in contact with the yeast in the liquid. Also, don’t let the cap dry out or it may attract bugs or bacteria. When the cap stops rising, simply lift the nylon bag from the bucket out of the wine. Gently squeeze out whatever juice will freely come out and discard the fruit. Replace the lid and allow the wine to finish fermenting. When the wine hits 0°Brix or below, siphon to a 6 gallon carboy. Secure an airlock or breather bung. Make sure to top up into the narrow area of the neck, even if you have to add a neutral white or rosè wine. Refer again to the sulfite instructions for additions you will make during storage and before bottling. Detailed instructions for making fruit wines. Smash sound, ripe berries (or pit stone fruit), tie loosely in a straining bag and place in open top fermentor. Heat 6 quarts water with Corn sugar and bring to a boil. Remove from heat, cool and pour into the fermentor over the fruit. Add the remaining water, Yeast Nutrient, Pectinase and Tartaric Acid. Add 5 crushed Campden Tablets. Cover with loose plastic sheet or lid and allow to cool and dissipate the sulfite, waiting for 12 hours or overnight. Stir in the Yeast. Once fermentation begins, stir or push the pulp down into the liquid twice a day. After 5-7 days, strain and press the pulp. Funnel the fermenting wine into closed fermentors, such as glass or plastic carboys, and attach a fermentation lock. Note: if this fermentation is very active, you may need to divide the wine between two carboys so it won't foam out and spill. When bubbles are no longer actively rising through the wine, siphon the wine back together into one full carboy. Optional: Fine with Sparkolloid, add 3 Campden Tablets and store for four weeks with an airlock. Rack (siphon) away from the sediment, top full with a neutral wine and leave under airlock for 3 weeks up to 4 months. For bottling, rack into an open container, and add 3 crushed Campden Tablets. Sweeten with sugar syrup to taste and add 1/2 teaspoon Sorbistat per gallon to stabilize. Siphon into bottles, cork, and set aside to age for at least 3 weeks. GET A COMPLETE FRUIT WINE STARTER KIT FOR 6 GALLONS OR GATHER TOGETHER THE EQUIPMENT BELOW. 8 to 10 Gallon Food grade Bucket and Lid. Nylon Bag to fit bucket. One 6 gallon glass carboy (water bottle) with a fermentation lock and a #6 1/2 or #7 drilled rubber stopper. Or PET plastic carboy with a #10 drilled rubber stopper and fermentation lock. Racking tube and flexible tubing. Two 1/2 cases wine or beer bottles.